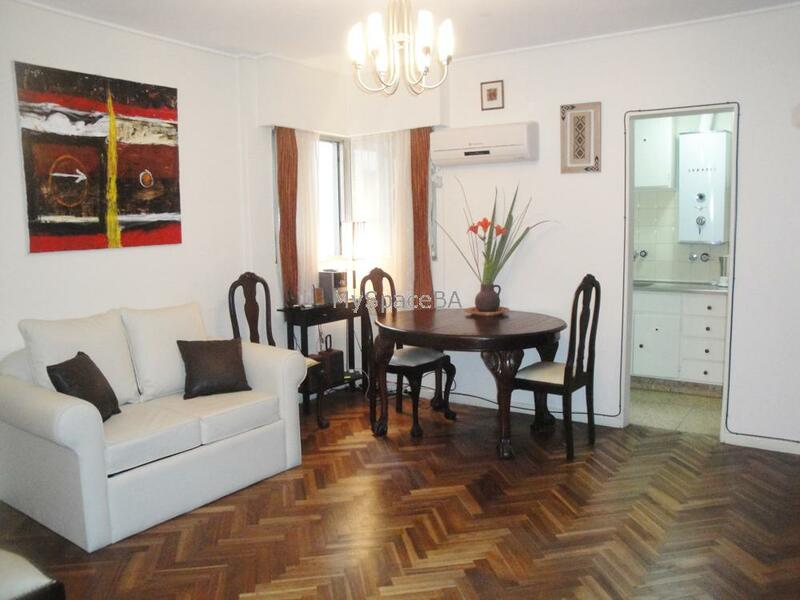 Spacious and comfortable apartment suitable for three people located in Palermo Soho, a few meters from the well known Plaza Serrano. The apartment is located at the back of the building which ensures peace and quiet. It has a spacious living area with sofa, table for 4 people, a library, cable TV, Internet access. Air conditioning. The master bedroom has a double bed, second bedroom a single bed and stereo. It has a full bathroom with tub and bright kitchen. Washing machine. A very good option to stay in Palermo Soho. Hardwood floors, air conditioning, heating, high speed Internet, telephone for local calls. Gas stove, gas oven, refrigerator, freezer, microwave, coffeemaker. Dishes. Cooking utensils. Washing machine. Towels and bedsheets are provided by the owner. Included: allt the utilities are paid by the owner less cleaning service.